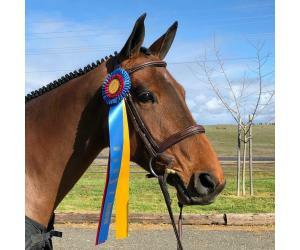 Lulavani finished NorCal Year End Champion Performance Hunters and Champion Performance Hunters Hunter Bonus! 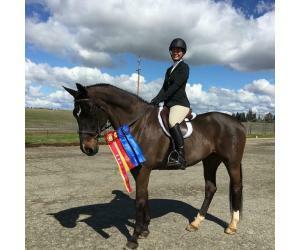 Congratulations to Lulavani Sonoma Horse Park Hunter Derby Circuit Reserve Champion! 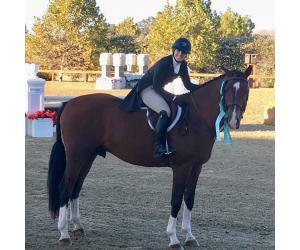 Avery Myers and White Out finished 6th in the Christmas Classic Derby out of 30 plus riders. 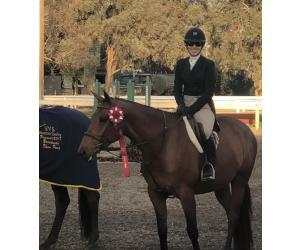 Their first round score was 84 and they were the only 2’ horse and rider to make the second round! 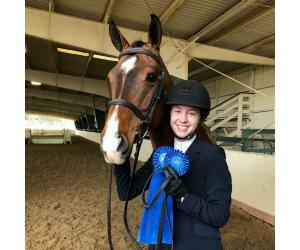 Avery Myers and White Out bring home three more blues!!! 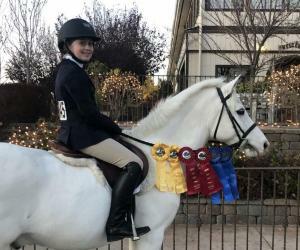 Avery Myers and her pony White Out finished our day with a bang! 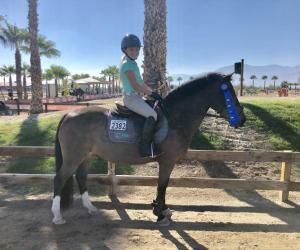 They moved up to the Short Stirrup and Childs Pony Hunters and earned great ribbons in some big classes! 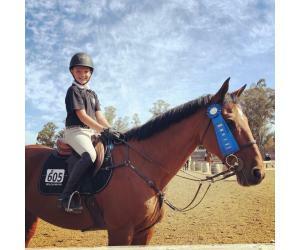 Mason Milo and Calibro finished their year with another win in the Low Children’s and Champion in the division! 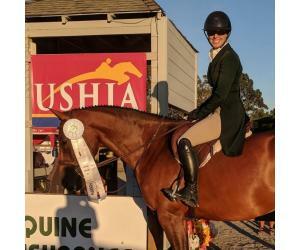 Lulavani win the $25,000 USHJA International Hunter Derby at HITS National Sunshine!! 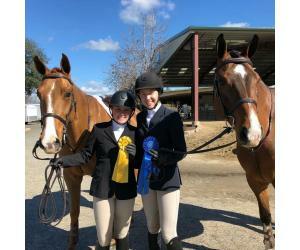 Another great round for Gianna Milo and Kelly Acres Anastasia for their final day of showing this week. Awesome job girls! 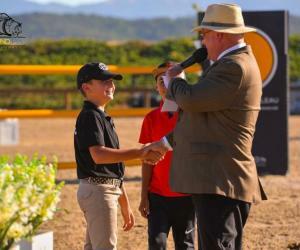 Mason Milo and Calibro win the Low Children’s! Great job girls! 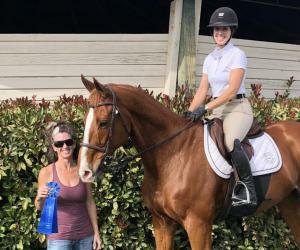 Kelly Acres Anastasia is proudly offered for lease. 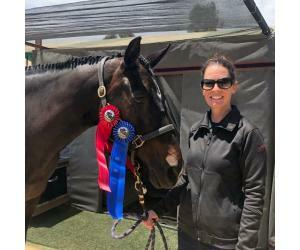 Lulavani had a good day in the High Performance! Off to a great start in the .80!! 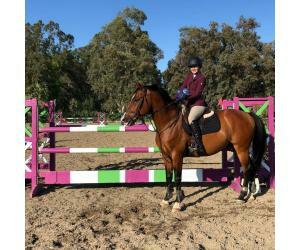 Kelly Acres Anastasia is proudly offered for lease. 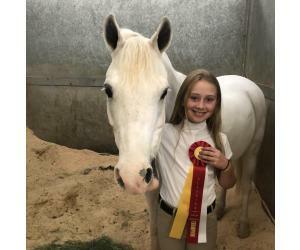 Avery Myers and White Out finished Reserve Champion Pleasure! 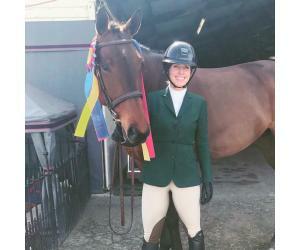 Congratulations to Lulavani Champion in the $20,000 FoxFarms Hunter Derby! 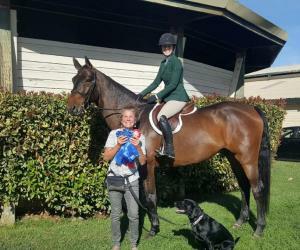 Lula also won the $500 Hunter Classic and was Champion Performance Hunters! What a week!! 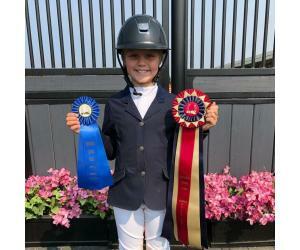 Avery Myers and White Out sure cleaned up in the Crossrails! 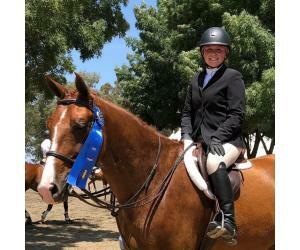 Guinness, owned by Dani Conway, wins the 1.10! 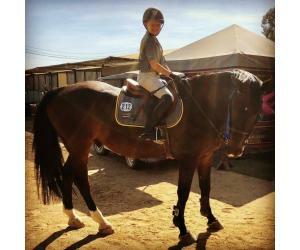 He was also 2nd in the 1.0m on Wednesday! 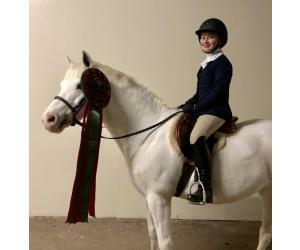 Avery Myers and White Out had an awesome day! 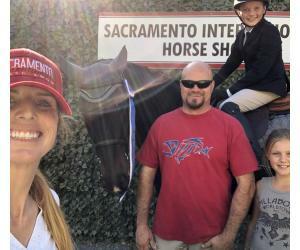 Navarro is owned by Michelle Waters. 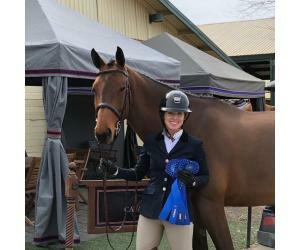 Lulavani finishes Champion in the $500 Hunter Classic! Grace Kamphefner and HMS Diamond 54 pulled their first blue yesterday! 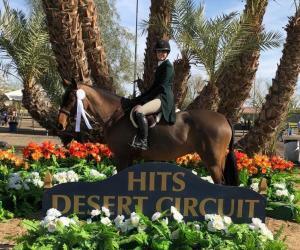 Lulavani finishes Champion in the Performance Hunters! 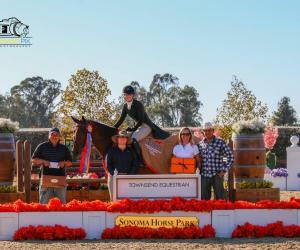 Lulavani finished 2nd in the $16,000 Haunted Hunter Derby. 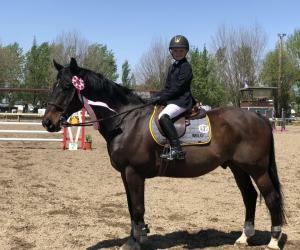 Lulavani finished Champion in the Doc Nissen Performance Hunters! We are honored to be awarded Champion in his name. 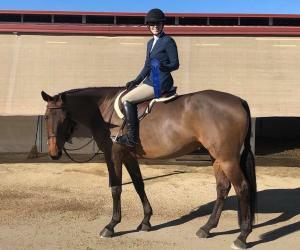 Lulavani had some nice rounds in the Performance Hunters today! 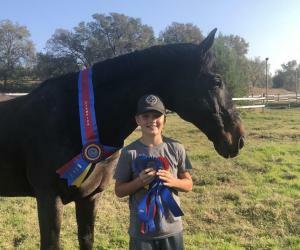 Mason Milo and Calibro Champion Low Child/Adult! 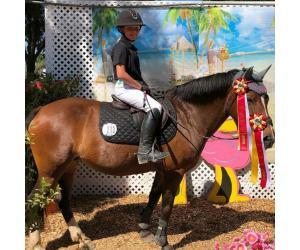 Mason Milo and Calibro 2nd in the Low Child/Adult Classic! 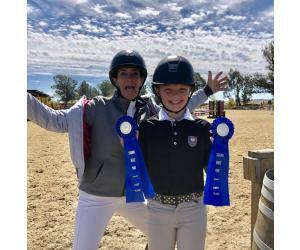 ICSS Sunplay and Elizabeth Brew Champion A/A Jumpers! 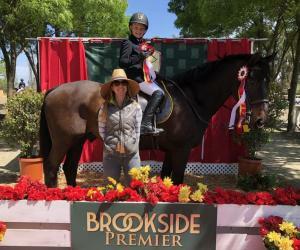 Elizabeth Brew and ICSS Sunplay won the A/A Jumpers yesterday! He did it again and the whole fam was here to see it!! 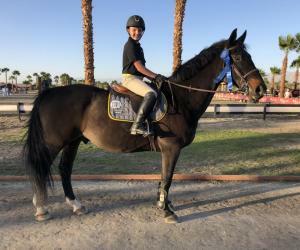 Mason Milo and Calibro win the Low Child/Adult out of 34 horses! 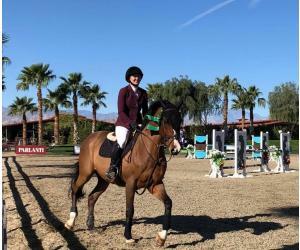 Mason Milo and Calibro win the Low Child/Adult! 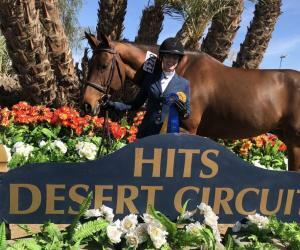 Lulavani wins her third USHJA International Derby!! 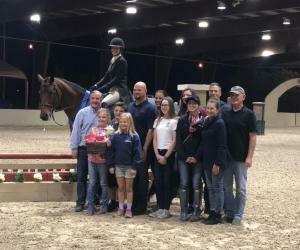 Thank you Sonoma Horse Park for such a spectacular venue to show at, the Townsend Family for sponsoring tonight’s class and of course all of our sponsors!! 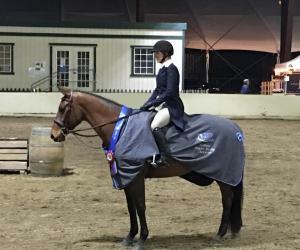 Jessica Behar and Cafe’s Deluxe 3rd in tonight’s $5,000 Jr/Am Hunter Derby!! 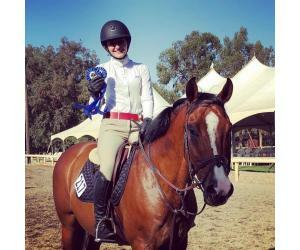 Jessica Behar and Cafe’s Deluxe win the JRW Medal! He did it again! 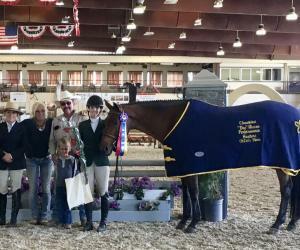 Mason Milo and Tre Buchet win the .85!! Thx for the team spirit Kristin Hardin!! 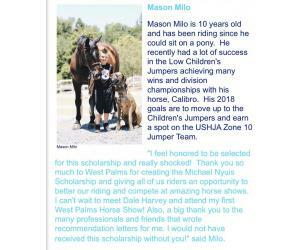 Big thanks to Meredith Herman for asking our Mason Milo to come show today! 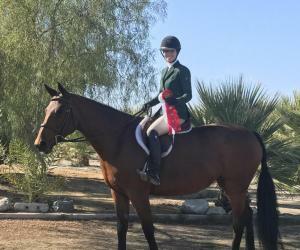 He won the .80 on Tre Buchet! 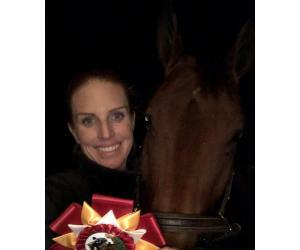 Lulavani finished 4th in tonight’s $20,000 USHJA International Derby. 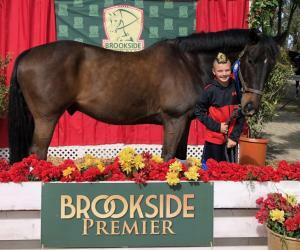 Mason Milo and Maloubet Du Rouet finished Champion .85 Ch/Adult! 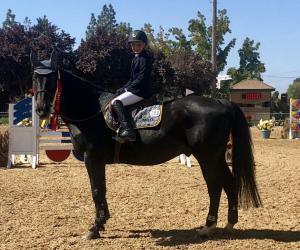 Mason Milo and Maloubet Du Rouet won the .85 yesterday! Look how happy Mal is. 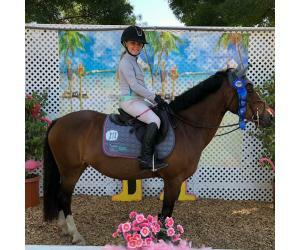 Gianna Milo and Kelly Acres Anastasia finish their show with a win in the .80 Child/Adult and Reserve Champion! 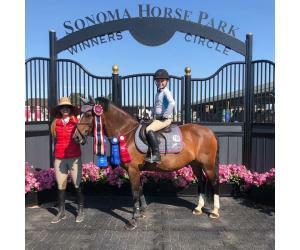 Congratulations to our Mason Milo for winning the Richard Wilkinson Sportsmanship Award at Sonoma Horse Park this week! 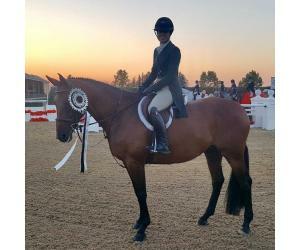 Lulavani finished 4th in tonight’s $20,000 International Derby and Reserve Champion Performance 3’6! She did it again! 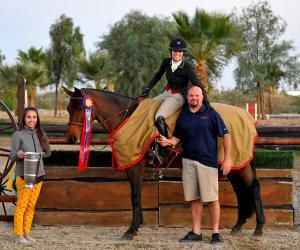 Gianna Milo and Kelly Acres Anastasia won the .80 and finished Champion! Great way to start the week! 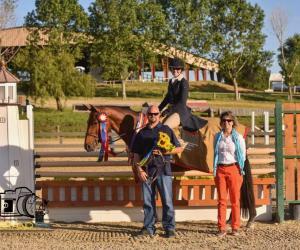 Gianna Milo and Kelly Acres Anastasia finished 1st and 2nd in the .80 out of 30 horses! 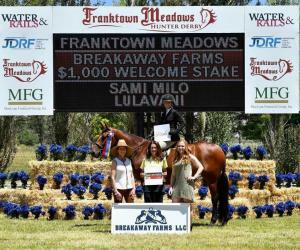 Lulavani wins the $1,000 Welcome Stake yesterday! 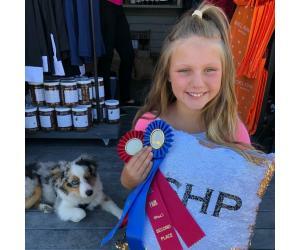 Gianna Milo and Kelly Acres Anastasia were Reserve Champion in the .75 and .80! 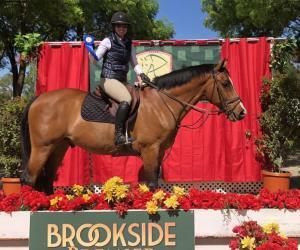 Elizabeth Brew and ICSS Sunplay had a clean sweep in the AA Jumpers for Champion!! We still got it! 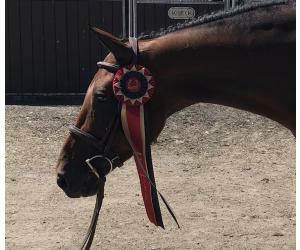 Lula was blazing fast for the win in the jumper ring today. We are prepping for our team competition tomorrow! Lulavani had a great week so far! 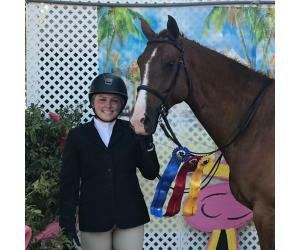 Reserve Champion Performance Hunters with a win and third in the Trainer Eq! 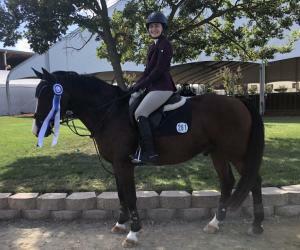 Michele Saario and Princess Ramira pulled a first and second in the Novice Eq and Low AA! 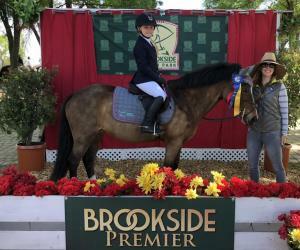 Gianna Milo and Kelly Acres Anastasia won the .75 and second in the .80! 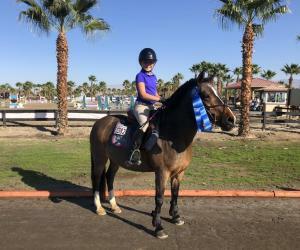 Audrey Summers and Bourbon Street had a great morning in the 3’3 Hunters! 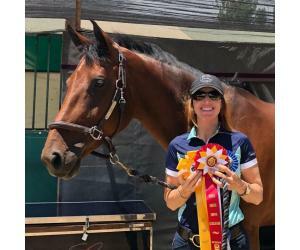 Another double blue day for Elizabeth Brew and ICSS Sunplay!! 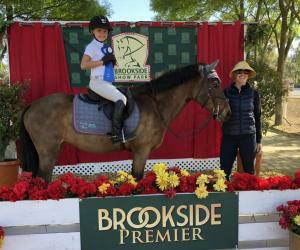 Mason Milo and Calibro win the Children’s Jumpers!! 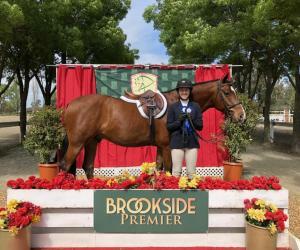 Audrey Summers and Bourbon Street won their first class of the show! Hudson and Co!! 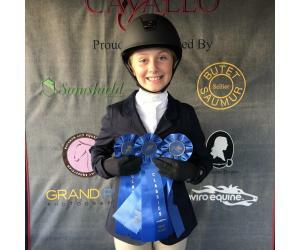 Elizabeth Brew did her first ever 1.30 course and came out with blue!! 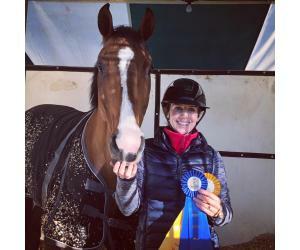 Lulavani wins the $10,000 USHJA International Hunter Derby! 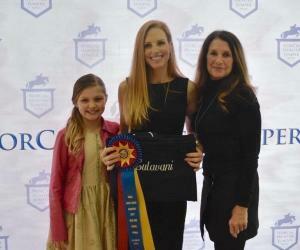 Jessica Behar and Cafe’s Deluxe finish the show winning the Hudson, the USEF and 3rd in CPHA! 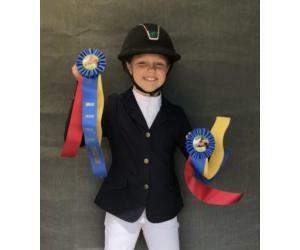 Mason Milo and Calibro finished the show 5th in the $500 Low Children’s/AA Stake and double clean for 3rd in the Children’s/AA! 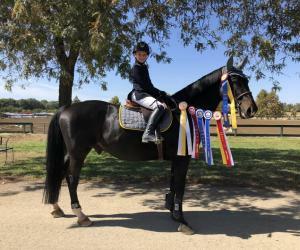 Mason Milo and Calibro finished their divisions yesterday Reserve Champion Low Children’s and Reserve Champion Children’s! 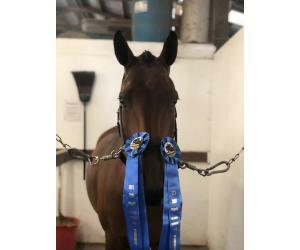 Guess who was Champion in the .80 too?!?! 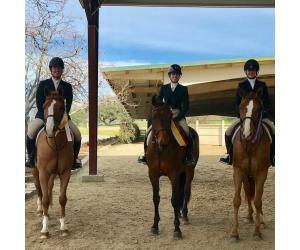 Gianna Milo and Kelly Acres Anastasia!! 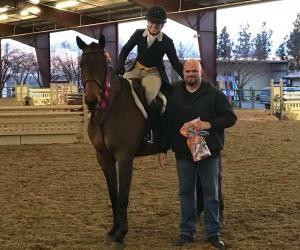 Jamie Campbell and Drambuie Champion Novice Eq! 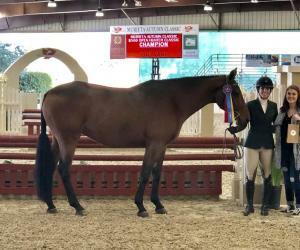 Gianna Milo and Kelly Acres Anastasia Champion .75 and 2nd in the $250 Stake! 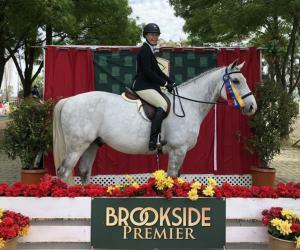 Congratulations to Elizabeth Brew and ICSS Sunplay 2nd in the $5,000 Brookside Jumper Classic! 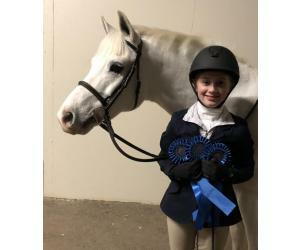 It was a double blue day for this dynamic duo!! 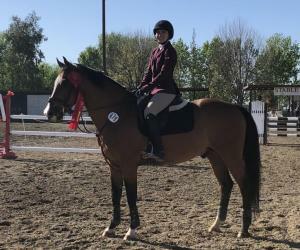 Gianna Milo and Kelly Acres Anastasia win the .75 and .80! 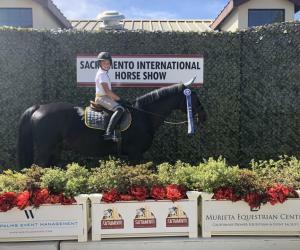 Lulavani finishes second in the $10,000 SVS Hunter Derby! ICSS Sunplay was blazing fast for the win in the 1.30! 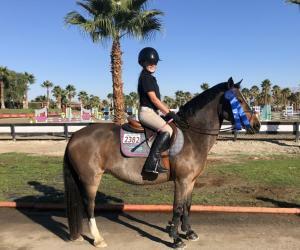 ICSS Sunplay was his usual super star self yesterday and double clean in both of his classes! 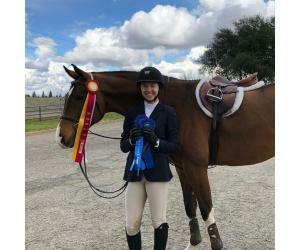 First in the 1.20, 3rd in the 1.30. 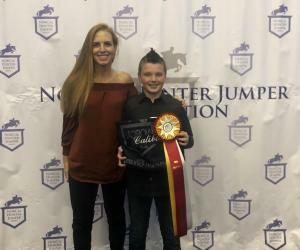 Mason Milo makes his debut in the 1.10 Children’s Jumpers with Calibro and they pull out a win! 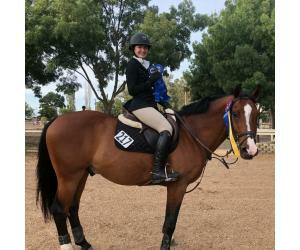 Lulavani wins the High Performance and 3rd in the handy with scores of 87 and 86! 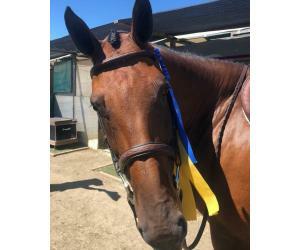 Lulavani wins the $10,000 FoxFarms Hunter Derby for the second week in a row! 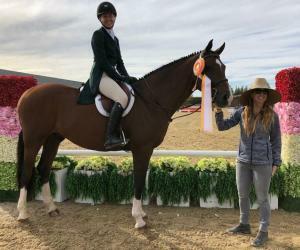 Lulavani 2nd in the $2,500 Open Hunter Classic. 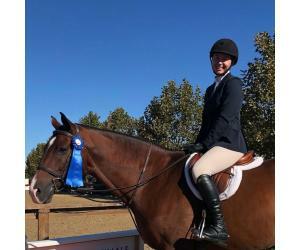 Finishing the day with USEF results Jessica Behar 1st, Audrey Summers 3rd! 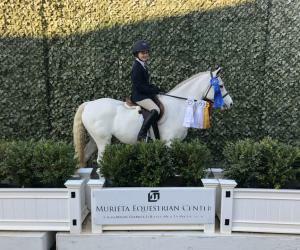 Michele Saario and Princess Ramira had a double blue day in the Low Ch/Adult Hunters and finished Reserve Champion. 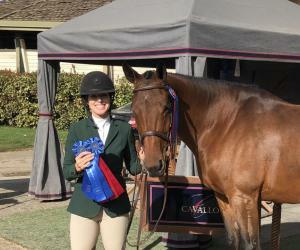 Lulavani wins the $10,000 FoxFarms Hunter Derby with scores of 88 and 90 round one and 87 and 88 round two! 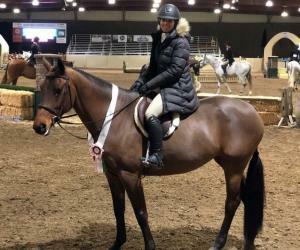 Michele Fern and Princess Ramiro finished 3rd in tonight’s $1,000 Derby Challenge! 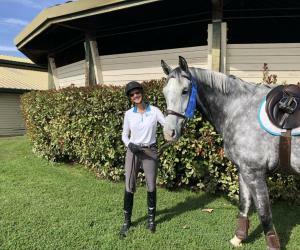 Jessica Behar and Cafe’s Deluxe had another double blue day and finished Reserve Champion Jr Hunters! 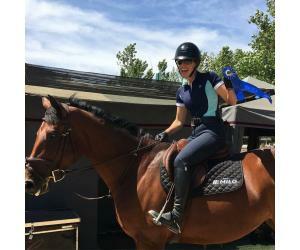 Jessica Behar and Cafe’s Deluxe started the day with doubles blues! 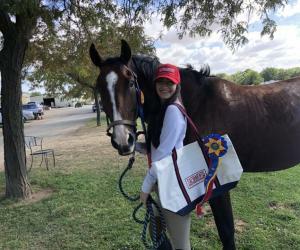 Lulavani won all 3 of her classes! Lulavani finished 4th in tonight’s $10,000 FoxFarms Derby. 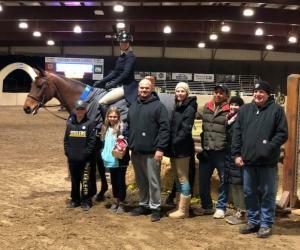 Lulavani wins the $2,500 Open Hunter Classic, a Performance 3’6 and Reserve Champion Performance 3’6! Mason Milo earns a Special Award from West Palms and the Michael Nyuis Scholarship! 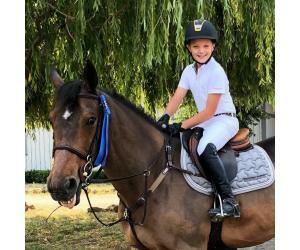 Lulavani wins the High Performance! 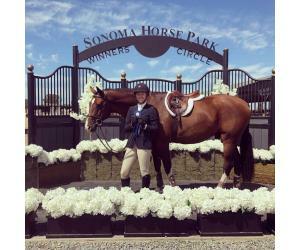 Elizabeth Brew and ICSS Sunplay finish 6th in the very competitive $2,500 M&S Adult Jumper Classic! 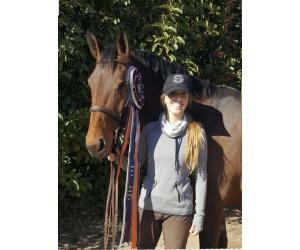 Lulavani 85 round one, 87 round two for 4th in the very competitive Devoucoux Hunter Prix! 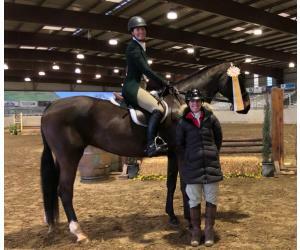 Lulavani finished 2017 PCHA Champion Region 2 and Reserve Champion “A” Performance Hunters 3’6! 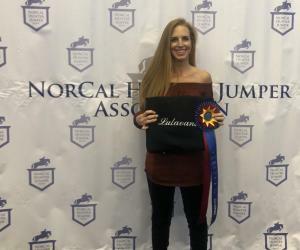 NorCal Hunter/Jumper Year-End Awards. 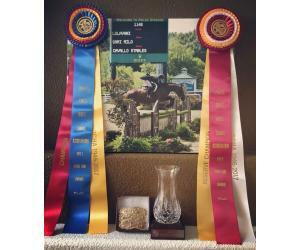 Lulavani finished Champion Performance Hunters and Champion Hunter Bounus Performance Hunters! 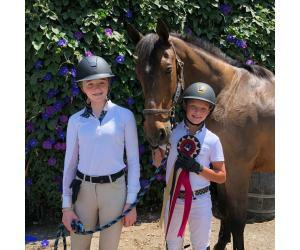 Alexis Behar 5th Children’s Jumpers, Jessica Behar 8th Junior Hunters and Elizabeth Brew 8th 18-35 Equitation!